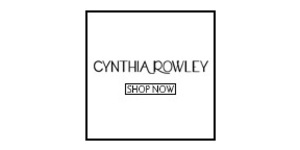 Cynthia Rowley is a leading global lifestyle brand built on the philosophy that fashion should be an adventure. The brand&apos;s signature pretty-meets-sporty assortment features ready-to-wear, surf and swim, fitness, accessories, and home decor as well as exclusive collaborations with like-minded brands including Goop, Bandier, Maisonette, among others. Deemed the pioneer of &apos;surf-leisure&apos; by Vogue, Cynthia Rowley exudes a spontaneous spirit and fearlessly redefines the boundaries of fashion.